Hey look at these awesome and adorable Booties for your little angels. This fantastic design also have pattern and we have it for you By Drops Design of course for free. Imagine how cute will look your babies toes in these booties. Make changes if you want and make puppy’s or kitten’s face and etc. It will be perfect gift for any mother also. You will save money and also will have high quality booties. 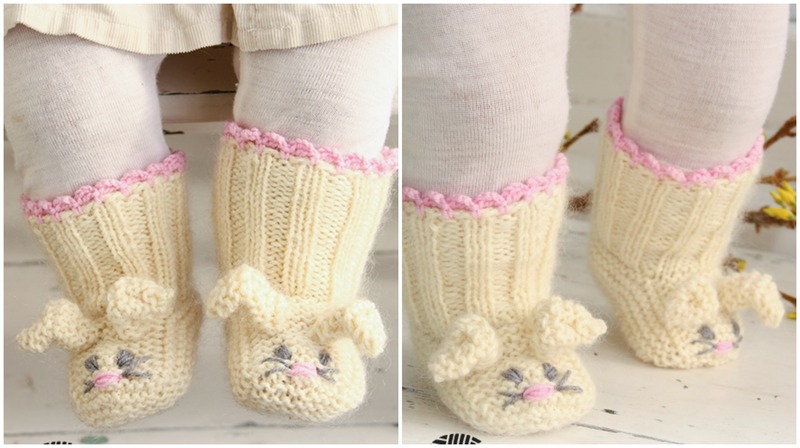 You will be proud when everyone will say “how beautiful Bunny booties are on you baby’s toes. Thanks again For Free pattern to Drops Design team. We hope you will enjoy knitting. PATTERN IS IN DIFFERENT LANGUAGES.